Manhasset drivers with a feel for the track find themselves at Rallye Acura, eyeing the new Acura NSX. This supercar is not only a perfected legacy, but it boasts so much power and performance you’ll be coming up with excuses just to hit the road. The Sport Hybrid Super Handling All-Wheel Drive™ powertrain delivers 573 hp. On the design side, you can be sure you’ll stand out on the Port Washington roads with this model, as its sleek and sophisticated lines do more than just meet the eye. 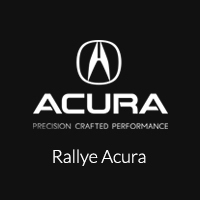 Bringing a dream car home is possible at Rallye Acura, located at 1750 Northern Boulevard in Roslyn, NY. We have a great selection of vehicles for you to choose from, and we want to help you bring your favorite home. Contact us today at 516-508-9147 to schedule your test drive today.